This intense, deep bordeaux style is explosive and full of soft fruit and tannins. Intense and deep bordeaux red colour. The nose shows aromas of dried and some fresh fruits, red berries but also dried figs and prunes. The mouth is explosive but full of soft fruit and tannins. Like previous seasons, the 2016 vintage once again, saw an extremely dry year, with under 200mm of rain. Temperatures were not excessively high, however, until a sudden heatwave in September, which lead to grapes with perfect health and ripeness. The grapes for this 95% Monastrell, 5% Syrah blend were harvested in mid September. These grapes saw no oak ageing, and instead were fermented at 22 to 25ºC in stainless steel tanks after destalking & crushing. 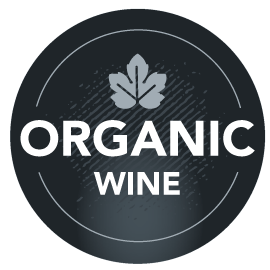 The grapes for this wine are certified organic. Superb spicy red with ripe tannins, drinking well now. Deep ruby colour and not lacking in alcohol punch. Exceptional for the price. A very nice organic wine that is not overpriced.